Our certified developers specialize in creating conventional, growth-driven design and eCommerce websites that are optimized for search engines and conversions. If you are an existing business who has a large rCommerce website, you need to go live with a fully integrated website that showcases your business. A comprehensive website offers comfort to many rCommerce businesses because they will know exactly what cost they will incur and when the site will be fully completed. For others, it is a marketing necessity due to the size of their existing website or their marketing program: they don’t want to jeopardize their well-earned SEO or marketing momentum when updating their new website. EYEMAGINE’s comprehensive website development program will be done on time and budget - guaranteed. As long as you can make a timely decision, we will deliver a fully-integrated, comprehensive website that meets your needs and encompasses all aspects agreed at the inception. 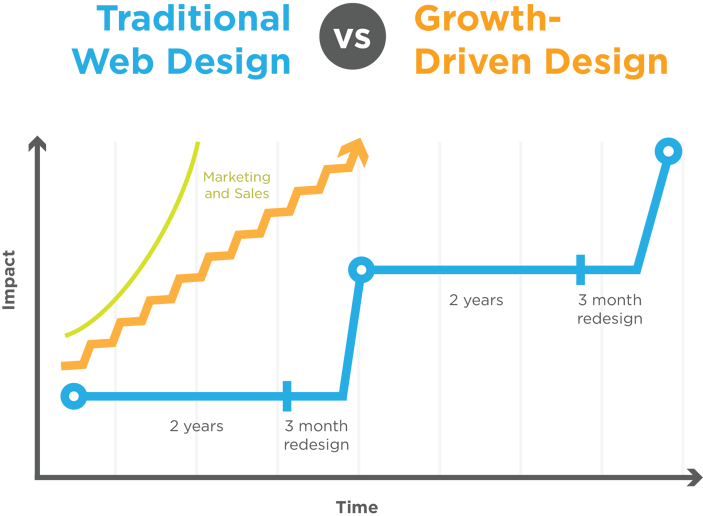 Growth-Driven Design is designed to shorten the launch time by focusing on the most impactful elements and then building out the rest based on performance and needs. This is a great option for new companies or those with small websites. For many, the traditional web development process is broken: it’s costly, labor-intensive and time-consuming. On top of that, you may find out down the line that the assumptions you used to build the site were wrong. GDD does away with these problems by treating websites like living assets that should be continuously optimized for performance. The GDD Methodology can be ideal for a company that has a smaller web presence or that is not currently generating large amounts of sales due to their web presence. The main idea is to focus on the 20% of the website that will be the most impactful in sharing your vision and purpose. This will allow you to have a meaningful web presence faster. In addition, the investment is spread over a longer period of time rather than having to invest a larger one-time fee. Once the launchpad website is live, we prioritize and focus on the areas that will generate the best results and ROI. Using performance metrics, we continuously improve user experience, increase conversions and build marketing assets. Your eCommerce website may be the first and only opportunity to turn a visitor into a sale. The EYEMAGINE development process ensures that your website is optimized for performance and sales. 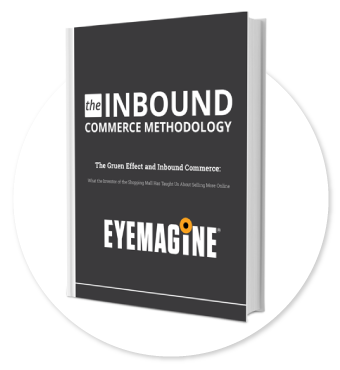 EYEMAGINE is the hands-down expert in creating eCommerce websites that both resonate with the web visitor and convert their interests into sales. The team at EYEMAGINE was not only reliable, but easy to communicate with. They took our ideas, researched the best way to develop, a nd delivered our idea promptly with outstanding execution. EYEMAGINE took our web presence to the next level by providing an innovative and distinctive website.